Gate Street Barn is unique wedding venue in Bramley with an authentic working farm atmosphere! 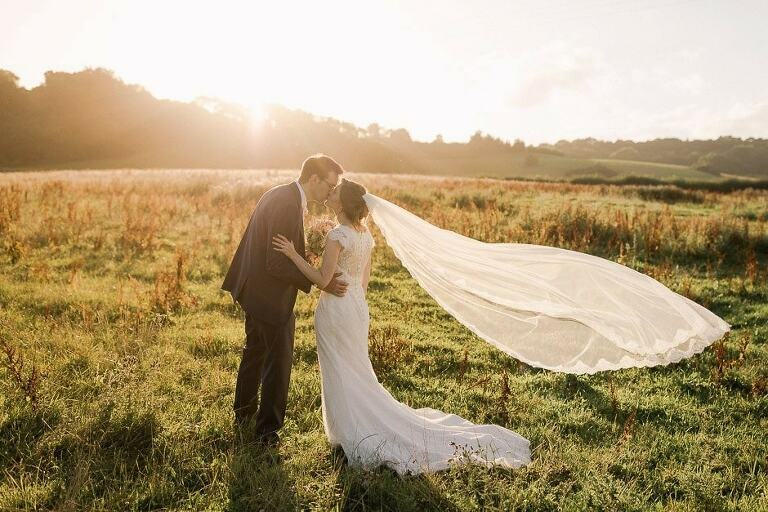 With its beautifully landscaped surroundings and outstanding scenic views this barn made for the perfect setting for Chloe and Matt’s big day in July. Coincidentally it was my second wedding that week at Gate Street Barn and the weather was warm and very sunny! Chloe got ready onsite in the attractive stable house and for any brides considering staying there the evening before their wedding, I thoroughly recommend it. The ceremony was held in the main barn which was decorated beautifully with white Gypsophila, Wisteria hanging from the chandeliers and bunting stretched across the room. Once their vows were exchanged the happy couple walked through the confetti line before being congratulated by all of their loved ones. The grounds at Gate Street are very picturesque and I loved taking Chloe and Matt around them for their sunset couple shoot once the rain had subsided. There were some heartfelt speeches after the meal and once the cake was cut in the Pheasantry, it was time for the party to start back in the main barn! Congratulations to Chloe and Matt and all the very best for a wonderful future together and here’s some images from their big day………..